They only made 31 Diablo SV-Rs in 1996. It was the first Lamborghini officially built for racing purposes, and only a few were converted for the road, including this car. 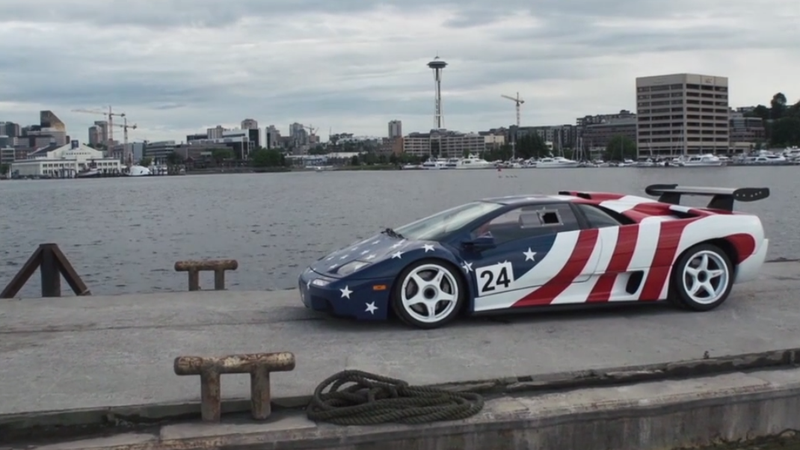 It's not just patriotic, it wears the Stars and Stripes because it was the only American entry into the Lamborghini Supertrophy Series. 533 horsepower, 441 lb·ft of torque and the front clip of a Diablo VT 6.0 to make it road legal. This particular Sport Veloce-Race didn't have an easy life, but instead of spoiling the fun, let me just direct you towards the full story at eGarage. Oh, if you would like to sit in one, try the first floor! Tour The Lamborghini Museum On Google Street View, Climb Into A Miura!